Think about your commute to work every day or the route you take to pick up your children from school. Chances are you are passing dozens and dozens of signs on a daily basis but because their presence has become so normal, you don’t even realize how much of an effect they are having on you. It’s because of this that so many companies are now underutilizing the potential of signage when branding their businesses. 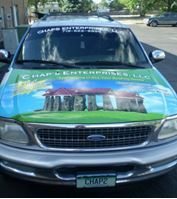 Using a captivating banner or even a vehicle wrap to market your company and its products goes far deeper than simply displaying the business’ name. If you want to reap the benefits of effective signs and displays, take note of the fundamentals – aka the ABCs – of signage. Your signs should do three key things for your business: Attract new customers, Brand the business and Create impulse sales – ABC. Attract New Customers – Customer loyalty is imperative to your business as these are consistent clients that bring in a chunk of your sales. However, acquiring new customers is also significant to maintaining a profitable company. 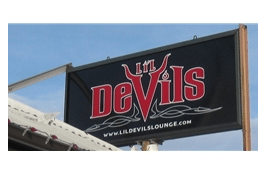 There are always ebbs and flows in any company, which is why you should focus portions of your signage efforts into bringing in new business. 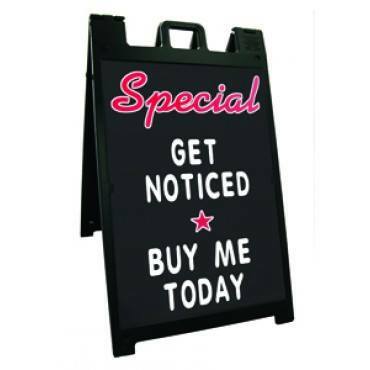 Branding Your Business – Brand recognition is another goal of implementing signs for your business. The more your potential customers see your name, company logo and products or services your business provides, the more apt they will be to pursue your organization. This is because you have achieved “top-of-mind awareness” which builds trust and turns strangers into customers. Create Impulse Sales – Many of us make impulse purchases every day. Think about Monday mornings; even when we don’t initially plan to stop somewhere when leaving the house, if we see a sign for a coffee shop on the way to work, we can’t help but pull in for a quick cup of Joe. If we get hungry and notice that there is a fast food restaurant up the road, why not grab a quick bite? We make purchases from these companies because we see signs that alert us that there is a business nearby that can meet our needs. This is a prime example of how effective signs can be for a business and how they can influence our purchases. Once you define your marketing strategies and decide which forms of signage will help you achieve these goals, the banners, displays and signs will do the work. 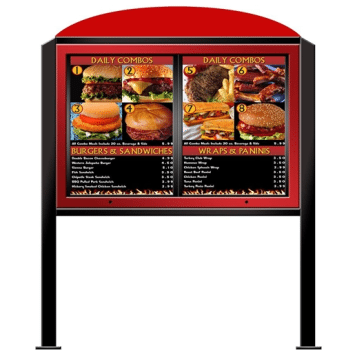 To browse, design and order custom signs for your business, take a look at the Signarama website today.